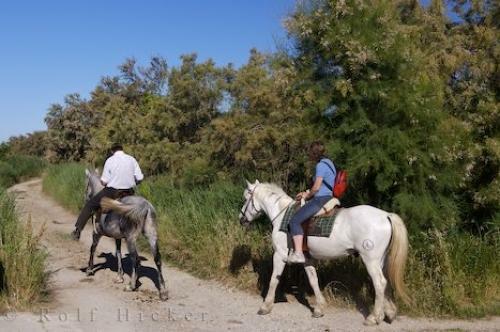 One of the best ways to explore the beauty of the Camargue in Provence, France is by booking a horse riding adventure from Auberge de la Fadaise. Horse riding, Promenade a Cheval on Camargue Horses at the Auberge de la Fadaise, Parc Naturel Regional de Camargue, Plaine de la Camargue, Camargue, Les Bouches du Rhone, Provence, France, Europe. adventure in the Camargue, Provence, France.